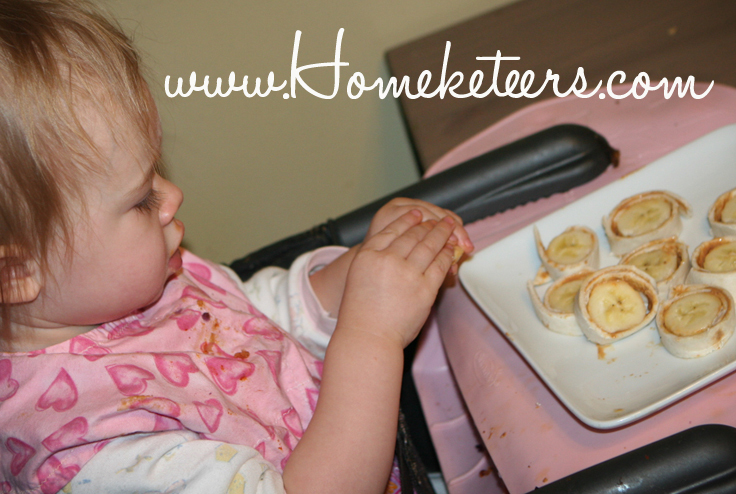 With a toddler who is becoming more picky as the days go by, I have been experimenting with new snacks and ideas. 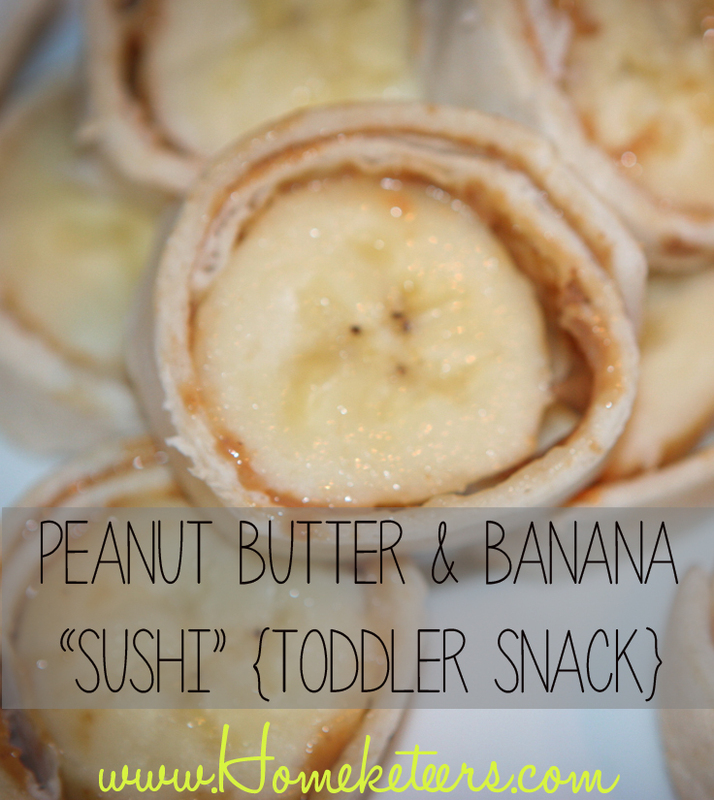 This Peanut Butter & Banana “Sushi” has been a big hit with my daughter and I love it because its easy and quick to make – and healthy too! 1. 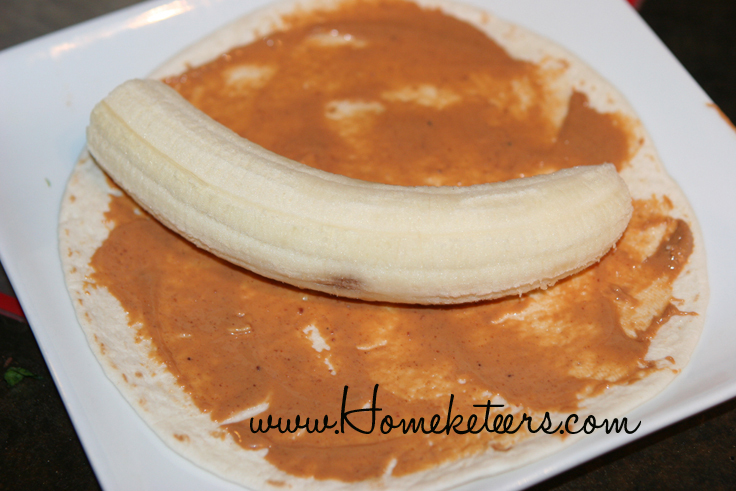 Spread out a thin layer of peanut butter onto a tortilla and place a whole banana right in the middle. 2. 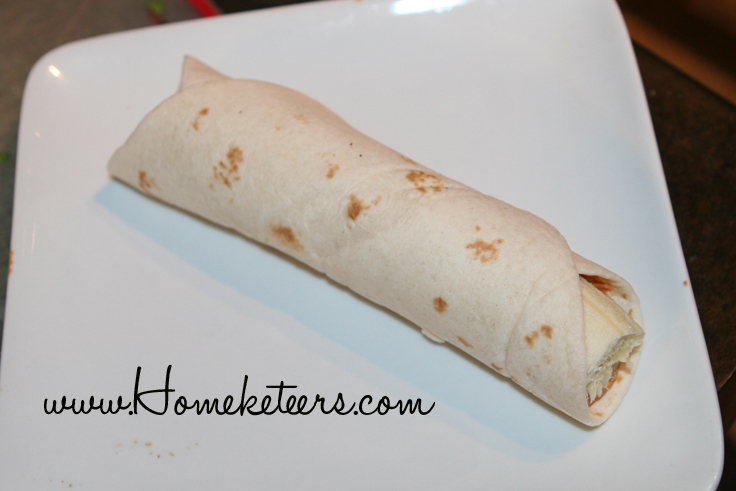 Roll the banana up into the tortilla as tight as you can get it. What an adorable idea! I bet my preschooler would love this. We do peanut butter and jelly a lot, but this is a good way to mix things up. Thanks for sharing! Not just a toddler snack. I’d love this! These may be for toddlers, but, heck, I would eat this! 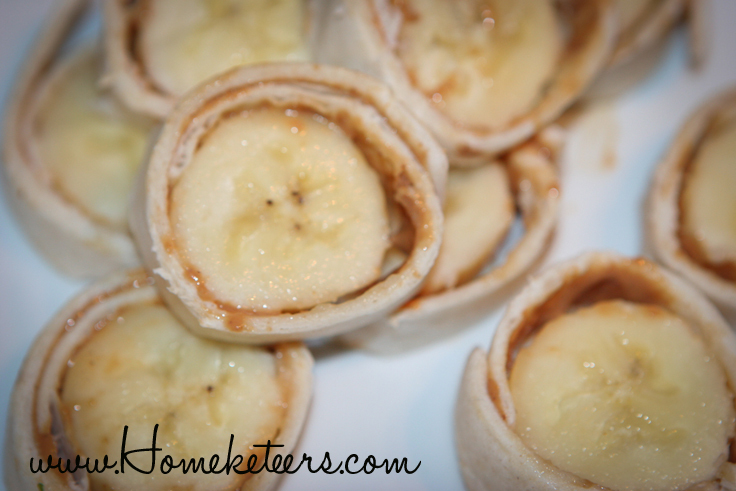 I love PB, bananas, and tortillas. Sounds like a yummy snack! What an awesome idea! I am going to share this with my sister so she can try it with her son. my kids are little weirdos, they will not eat these, but *i* love them! So yummy! What a cute snack idea! I actually would eat that myself. these are so cute! can’t wait to try for my niece! What a great idea! My kids are older but I’m sure they would still love this! Thanks for the idea! I am pretty sure my picky two year old will actually eat this. I’ll be trying it this week for sure! 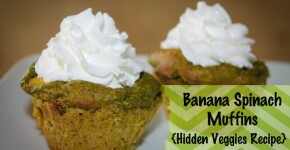 I think I would enjoy this as a snack – not just for toddlers!! 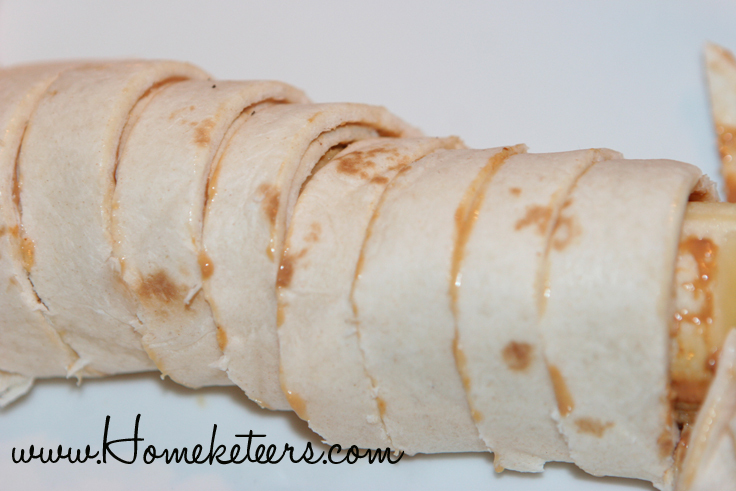 This would be a great one to snack on at work – yummy and healthy! Yum! My older kids would love this too.